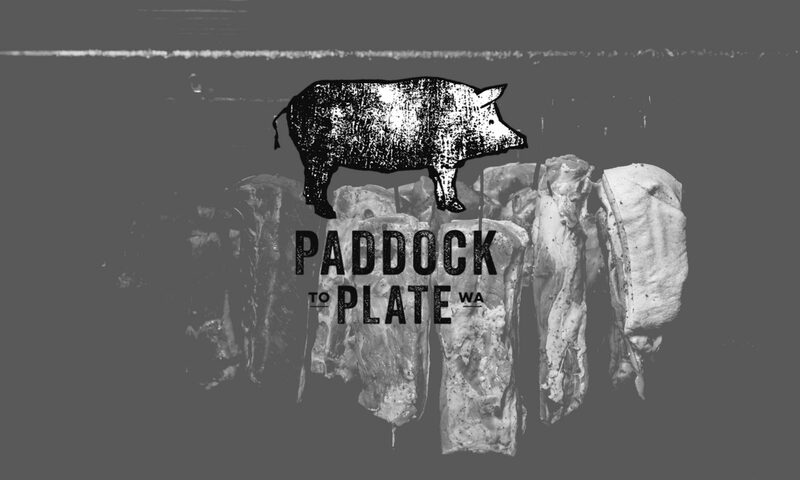 At Paddock to Plate WA we follow centuries old traditional methods to wood smoke our meats. Our award winning dry cured and chemical nitrate free bacon is made from West Australian free range pork. We also supply a range of beef, pork and chicken products to restaurants, cafes, pizza bars and gourmet delis around Australia. We are a wholesale only business, supplying to retail and food service businesses. We like to do things the old fashioned way. That means we take our time. Using only West Australian meat (and only free range for our bacon and ham) we slowly smoke all our products over real wood chips. It’s the only way to create an authentic flavour. We also dry cure our bacon. It might take longer, but this gives the best flavour and texture to your rashers. For our bacon and hams we use natural vegetable extracts to preserve the meat. This means we don’t have to add chemical nitrate – usually called Preservative 250 or sodium nitrate 250. Nitrates occur naturally in many vegetables, such as celery and broccoli and this is where we consume most of them. Replacing the chemical nitrate with vegetable extracts means we use the smallest amount of nitrate, and in a natural form. There are currently no processed meats available in Australia which are completely nitrate free. You can find our free range West Australian bacon and ham at the following outlets in WA and NSW. Please get in touch if you’d like our products in your retail store. Paddock to Plate WA is a West Australian smallgoods manufacturer. We have been hand making smallgoods the old fashioned way for 50 years using Australian meat. Our free range, chemical nitrate free ham and bacon products are available in a number of independent retailers throughout WA and NSW. We also sell our smoked and fresh meat products to restaurants and pizza bars throughout Perth and the South West of WA.